The Bihar Police on Friday arrested two men in connection with the anti-India slogan in Araria. The police have arrested Sultan Aazmi and Shehjad over a viral video that showed three persons raising pro-Pakistan and anti-India slogans. 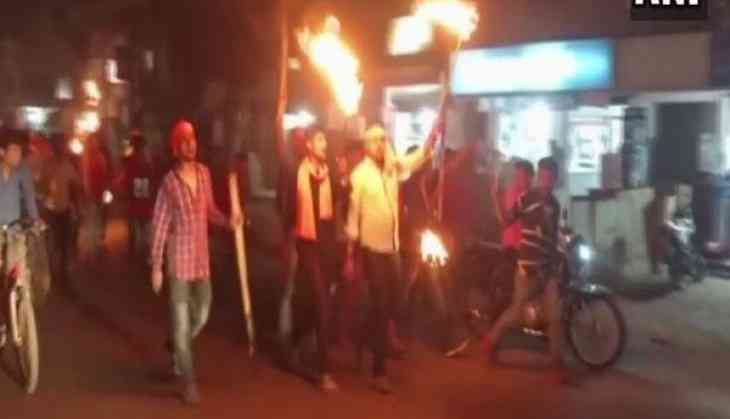 Earlier on Thursday evening, a protest broke out in Araria demanding action against three men after a video surfaced on the internet showing them raising pro-Pakistan and anti-India slogans. After the video surfaced, police were on a look out of the absconding men seen in the video. Araria witnessed polling on March 11 as by-elections were necessitated in the parliamentary constituency following Rashtriya Janata Dal (RJD) leader Mohammed Taslimuddin's death last year. His son Sarfaraz Alam on Wednesday won the by-election.